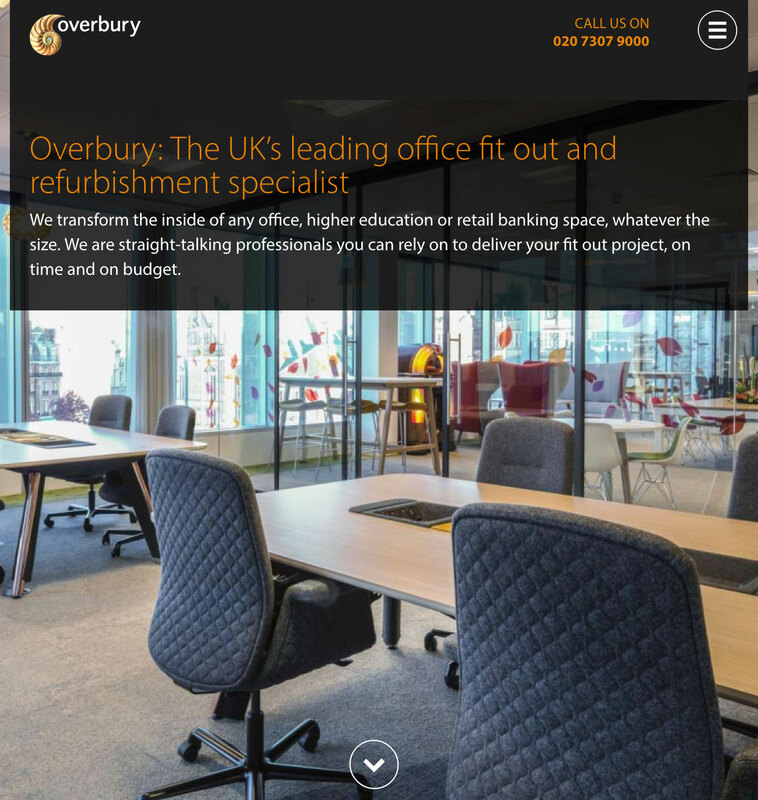 We gave office fit-out specialist Overbury a fresh new web presence that stands out in a crowded market. And the results speak for themselves, with an increase in relevant enquiries. 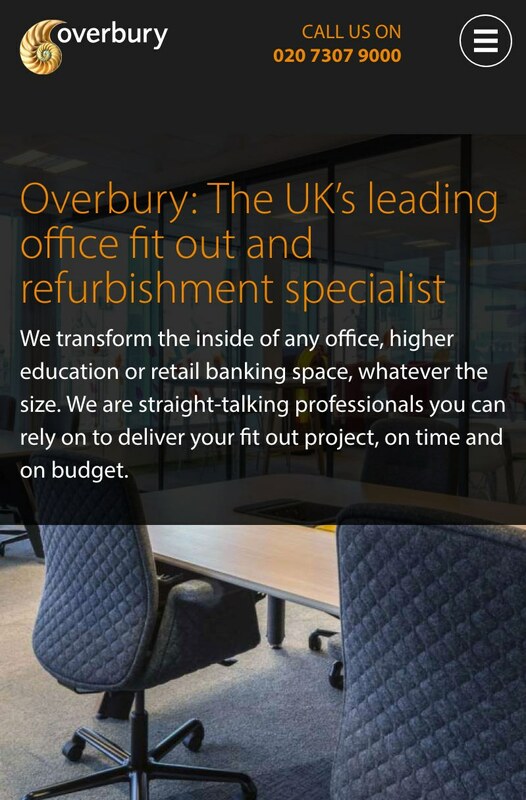 Overbury needed its core audience of consultants and architects to know about the range of work it can tackle. So we helped the team show off a little. 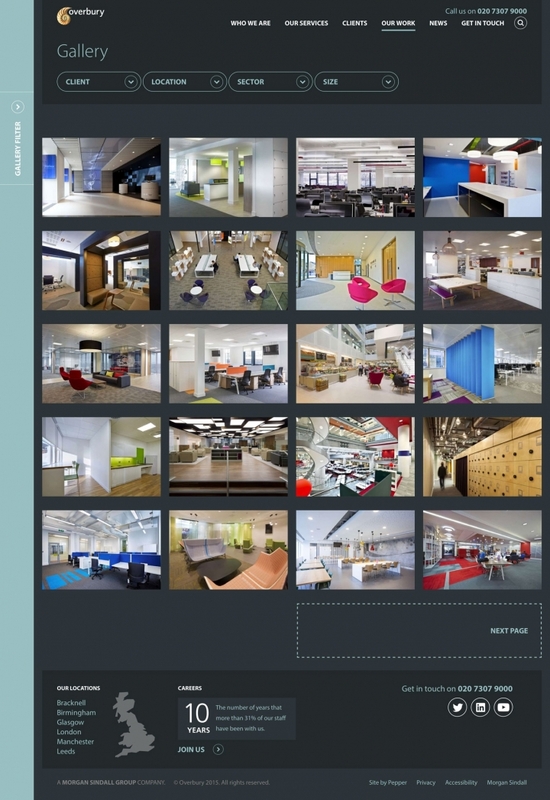 We placed the company’s award-winning projects at the centre of the content strategy. 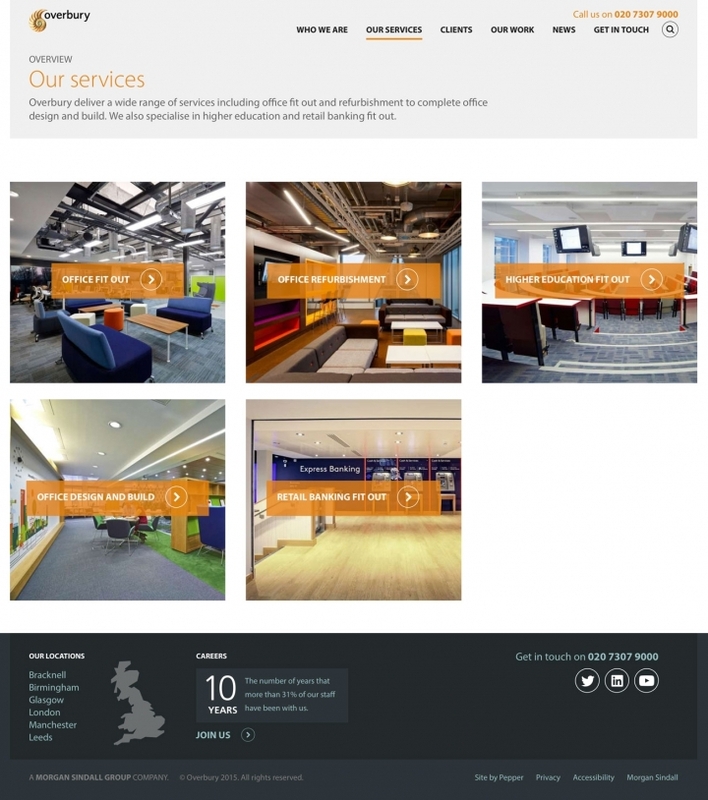 We then worked with a copywriting team to craft case studies that really hit home. And what happens if all this encourages prospective clients to get in touch? 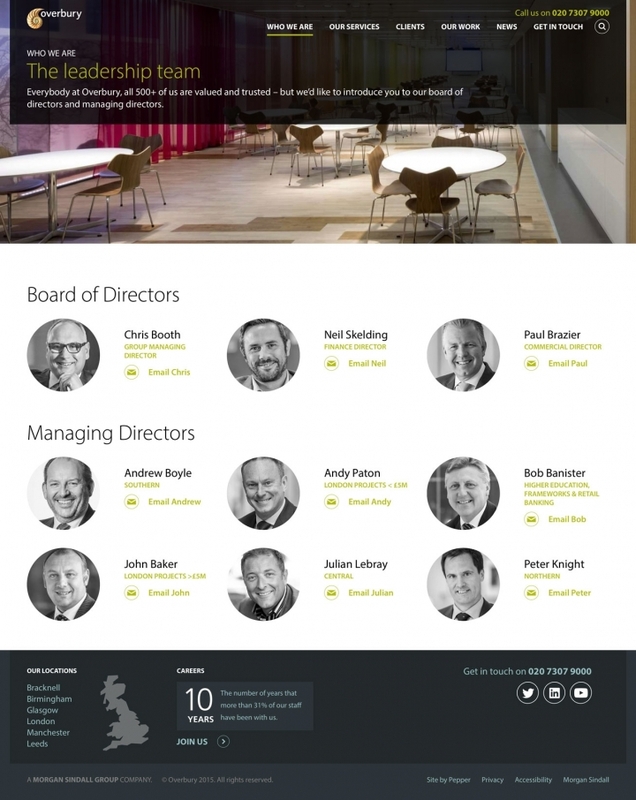 By focusing on regional offices, the site enables people to get straight in touch with their local contacts. We believe in creating content for humans first; machines second. 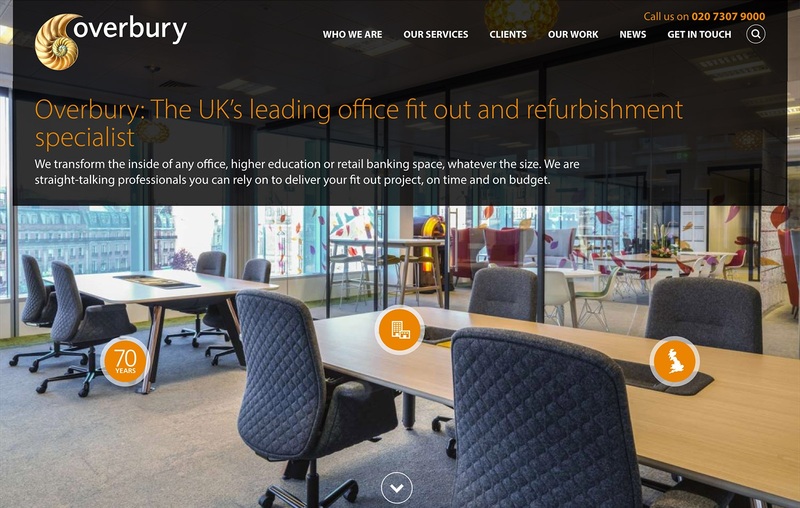 So we ensured all the site content talks directly to Overbury’s audience first, and then worked on maintaining and improving search engine rankings. © Copyright 2019 Pepper Digital UK. Registered in England and Wales (company no. 05379919, VAT no. GB 864 8234 96). The usual privacy page for your reading pleasure.